Power Pressure Systems Inc - Welcome to Power Pressure Systems Inc.
Design, Build, Upgrade and Repair of Car Washes Self-serve coin bays, in-bay automatic systems, tunnel conveyor systems, solutions that will fit any space, budget or market place. Pressure Washers, Sales, Service and Supplies Consumer, Farming & Industrial applications, cold or hot water, water filtration, stainless steel tubing, everything you need for your home or business pressure washer. Providing residents and businesses of Southern Ontario with a wide range of equipment from consumer high pressure washers, supplies, parts and services to conveyor, automatic car wash equipment, parts, accessories and chemicals . 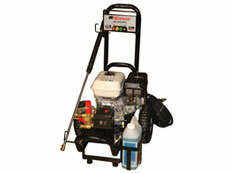 Consumer, Commercial, Industrial, Cold/Hot Water Pressure Washers. 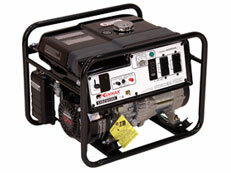 Kodiak Commercial Generators - easy to use, durable, and most important, dependable. 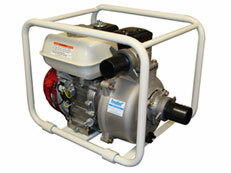 Submersible pumps, water pumps, trash pumps, Kodiak/AMT. Spray tips, rotary nozzles, brushes, Quick couplers, gauges, trigger guns, wands, hoses, and more. Our repair technicians are trained and qualified to service most pressure washers and car wash equipment. Contact us today to schedule your tune-up or repair. The Power Pressure Systems team is equipped with a fully stocked van for on site repairs to fix the most common breakdowns including hose repairs. 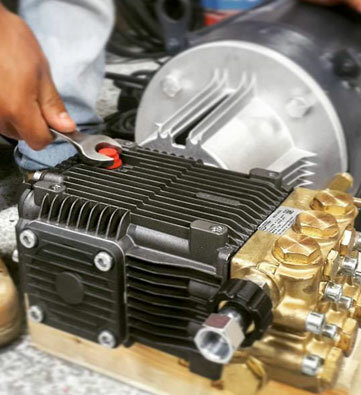 Regular maintenance keeps your pumps and burners running longer and more efficiently. Schedule your oil change or burner boil out today. We carry an extensive array of genuine quality parts to stand up to your hard working pressure washer, from pump parts to hoses we have what you need. Pressure washers can make short work of summer's cleaning jobs. To help you get the most out of your Pressure Washer, we've put together some quick tips and FAQ's. We hope this will help you decide what type of pressure washer is right for you and how to use and maintain it. 1. How do I select the right Pressure Washer? 2. What kind of detergent can I use in my Pressure Washer? 3. 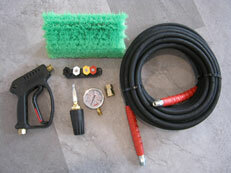 What Pressure Washer accessories do you carry?